Quite an accomplished actor, he was the original Professor Higgins in Pygmalion. 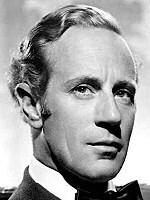 And if you catch his performance in the 1938, pre-My Fair Lady, film of that name, you'll see that the Rex Harrison version is really Howard's creation. Any other Jews in GWTW?